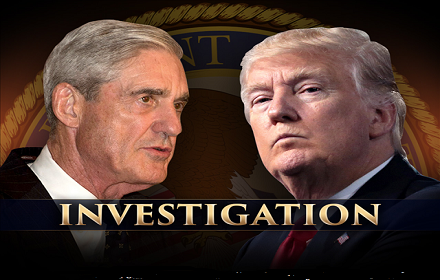 If the Democrats have their way, Mueller’s investigation of President Trump will last another six or seven years with a permanent congressional committee. An original draft copy of the federal criminal indictment naming former Trump political adviser Roger Stone — who is also a veteran of many national election campaigns for Ronald Reagan, George H.W. Bush, as well as senate and governor races — may have been targeted in order to squeeze him for “dirt” on the President. 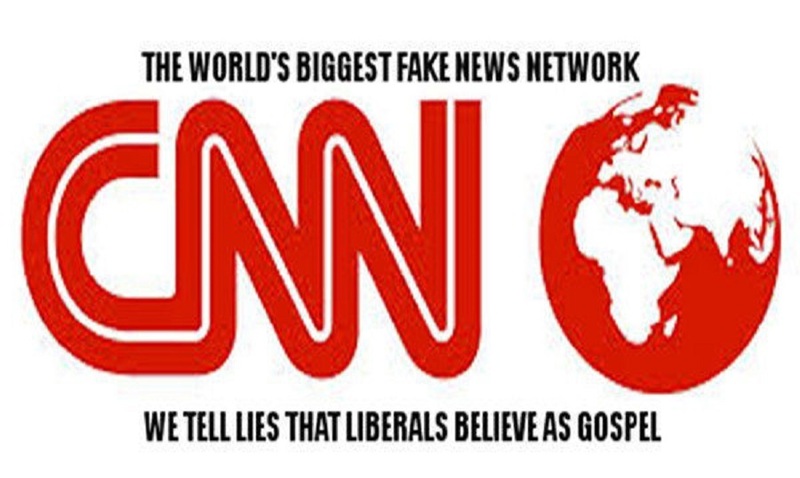 According to one of the reporters from CNN, the sealed criminal indictment was purposely leaked by Independent Counsel Robert Mueller’s chief prosecuting attorney into the hands of the CNN newsroom denizens. A Mueller henchman was deliberately tipping off the far-left and honesty-deficient CNN to the FBI’s planned down SWAT team raid on the Stone household last week, according to the defense attorneys. The draft of the actual indictment along with data that includes the legally initialed markings came from the chief special prosecutor Andrew Weissmann, who in the past has a reputation for taking shortcuts or hiding exculpatory evidence in cases he prosecuted during his years for the Department of Justice. For example, in 1997 Andrew Weissmann was officially reprimanded by a judge in the Eastern District of New York for withholding evidence. According to The Federalist’s investigative reporter Margot Cleveland, “[S]ince Weissmann took a leave of absence from his top Department of Justice job to join the special counsel’s team, critics have questioned his impartiality. Reports suggest the man branded Mueller’s pit bull by the Trump-Hating New York Times violated internal rules and regulation when he decided to meet with reporters from the Associated Press in April 2017. The following day, the AP published an exposé on Paul Manafort’s relationship with Ukraine officials. Then a news story broke that twice-demoted Department of Justice attorney who worked closely with the Federal Bureau of Investigation, Bruce Ohr kept Weissmann apprised about the progress of the Trump-framing “dirty dossier” being fabricated and produced by a former MI6 British spy named Christopher Steele. Despite questions about the dossier’s authenticity and its value as an evidentiary document to be used to obtain a FISA (Foreign Intelligence Surveillance Act) warrant to surveil President Trump’s campaign. Some of the characters who work for the Deep State: Michael Hayden, James Comey, Andrew McCabe, Susan Rice, Peter Strzok, Lisa Page, James Clapper. 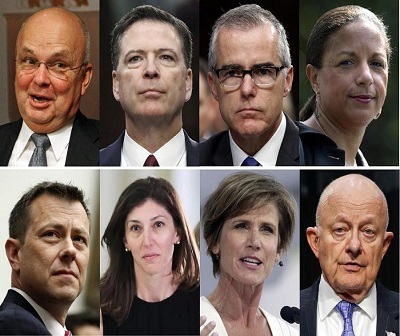 “They used the ‘dirty dossier’ to obtain a FISA warrant to be used to justify the FBI and DOJ staff’s unethical, even criminal acts in their quest to oust President Trump from the White House,” said Sid Franes a former police detective and U.S. Marine scout-sniper. “These latest documents are sure to be ignored by the likes of MSNBC, CNN, and other news outlets, but hopefulling Americans will have come to realize the news industry is about making money and gaining political power,” Franes said. Meanwhile, Roger Stone’s lawyer Grant Smith urged — some say he should have begged — Republican leadership to investigate how CNN ended up with the critical file when the indictments were supposed to remain sealed until after Stone was taken into custody during the dawn FBI raid by 25 special agents dressed in quasi-military garb including bullet-resistant vests, helmets, black uniforms and state-of-the-art lethal and non-lethal weapons. Smith wrote in a letter reconstructing the morning of Stone’s arrest that he sent to Sen. Lindsay Graham (R-South Carolina), chairman of the Senate Judiciary Committee, and Rep. Doug Collins (R-Georgia), ranking member of the House Judiciary Committee. “The CNN crew claimed to have staked out Stone’s house on a hunch, but their statement fails to explain the draft indictment in the reporter’s possession. Smith also provided a copy of the document to the Gateway Pundit, showing the creator’s name as “AAW” – which they say likely stands for Andrew Weissmann,” said a number of reporters from One America News Network and from NewsMaxTV.